© John G Dietrich Collection, courtesy Ruth Dietrich, Radio Heritage Foundation. The radio section of Special Services Division of United States Armed Forces in the Far East [USAAFFE] was organized in November 1943, at Brisbane, Australia, under direction of Capt. Hal Berger and Capt. [later Major] William Tidwell. 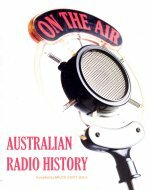 Its first task was distribution of transcribed radio programs to Australian stations of the Australian Broadcasting Commission and independent stations for rebroadcast to the Australian public and American troops in that area. 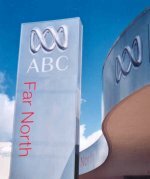 Working with the ABC, the section soon began producing and originating live programs over the ABC, from 4QR in Brisbane and on some occasions from Sydney. These included news programs, recreations of American football games and other sporting events, and a weekly inter-allied hour-long show "Shoulder to Shoulder", featuring talent from the armed forces of both nations. Shortly after, it became apparent that this system was not meeting the needs of the American forces. There was a lack of direct contact between the radio section and the troops in the field. 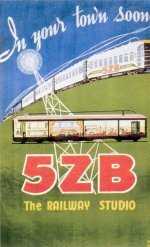 American troops generally did not tune into Australian stations, and for the sake of novelty, much preferred listening to the Japanese propaganda programs such as "Zero Hour" and "Tokyo Rose", relayed from Tokyo by powerful transmitters at Djakarta, in Java; Rabaul in New Britain, and throughout Asia. 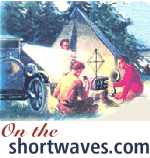 These transmitters completely blanketed shortwave broadcasts from Australia, or the West coast of the United States. 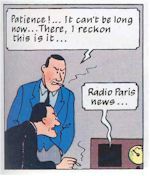 Early in 1944, the radio section was removed from Special Services and attached directly to General MacArthur's Headquarters [in Brisbane] under Col. [later Gen.] Ken Lyke, as part of the world-wide Armed Forces Radio Service. 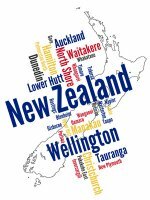 Their mission, the establishing and operating of broadcasting stations throughout the Southwest Pacific area under Allied control. In March and April, a team flew to Finschhaven, New Guinea, to set up the first of these stations, but its' construction was delayed for several weeks by continual rain and the lack of transport for equipment. During this period, it was learned that a "wildcat" station was being operated without authorization at Nadzab, the Fifth Air Force Advance Echelon Base in the Markham Valley about 30 miles above Lae. Investigation showed that the station, while well-intentioned, was being operated in an unsuitable, haphazard manner, and doing more harm than good. A team was detached from the Finschhaven group and flown to Nadzab. Personnel included Lt. Wynn Orr, Ham O'Hara, myself, and an engineer [Mark Cohen], and Capt. Tidwell. The captain closed down the 'wildcat' operation – somewhat to the disappointment of what must have been 75 to 100 hopeful yodelers and git-tar players lined up outside waiting to "git on the radio". The AFRS team took over the station and arrangements were made for some of the men in the 'wildcatter' to transfer into the authorized operation. These included Karl Schmidt and Art Richards. 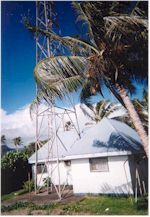 Within a few hours, the station was back on air as 'AFRS-2' with increased power and broadcasting the first authorized armed forces radio programs in the Southwest Pacific. A few days later, a new and more suitable site for the station was found near the base quartermaster section. 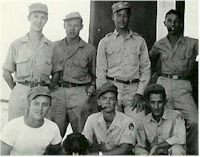 It was impossible to requisition the needed supplies legally, but, while the officers looked the other way, the enlisted men went about scratching it together by the time-honored military devices known as 'moonlight requisitions'. In other words, beg, borrow and steal. Indispensible to this phase of the operation was a new 'recruit', Freddie [Schmaltzie] Krieger. Schmaltzie was a typical little Brooklyn operator who started hanging around the station because he was passionate over Frank Sinatra. He belonged to a troop carrier outfit up the road, but his duties there must have been a little vague because he was usually at the station. 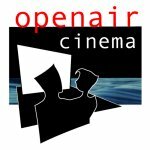 B: John Dietrich, Ham O'Hara, Capt. Tidwell, Stan Harris [our clerk]. He also turned out to have an amazingly wide acquaintance from one end of the base to another – some 15 to 20 miles – mostly among supply sergeants, mess sergeants, people who 'could do you a little good'. Did we need some paint when paint was impossible to find? Schmaltzie said "How much and what color?" He then took off in a jeep and in a couple of hours would be back with the paint. He never exactly explained where he got it, but it appeared that by talking the troop carriers out of a red nylon cargo parachute, he could trade it to a guy at the quartermasters for a case of canned peaches which a motor sergeant down at the engineers was willing to exchange for a set of shock absorbers coveted by a guy over on the other side of the air strip who happened to have a fleece-lined flight jacket for which another guy back at the quartermasters was willing to part with a half-dozen gallons of paint. The original personal story by John Dietrich about broadcasting from Radio Station WVTB New Guinea 1944 (Page 1). By this and other devious means the new station was built. It included, eventually, a studio building with a 55-watt Navy Collins transmitter, which Cohen altered to put out about twice that power, two 500-watt generators, an office building, floored and screened; and a 'dormitory' building about 20x60, with front porch, dayroom, screened throughout, with electric lights. The studio building had a reception room, a not-quite soundproof studio about 20x20, and the control room, divided from the studio by a soundproof beaverboard wall with a double plexiglass window. Two 40-foot antenna masts were erected. The original personal story by John Dietrich about broadcasting from Radio Station WVTB New Guinea 1944 (Page 2). By this time, stations were also in operation at Finschhaven, Milne Bay, Oro Bay, Lae, and not long after, Hollandia. 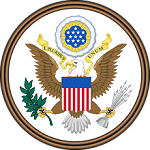 They were registered with the Federal Communications Commission and we were assigned the call letters WVTB, with a federally authorized frequency of 1430 kilocycles, and the slogan 'The Pioneer Radio Voice of New Guinea'. The station was on the air from 5am to 8am; 11am to 1pm, and 5pm to midnight daily. John Gordon Dietrich [1919-1992] served in Papua and New Guinea 1942-1945, joining the radio section of Special Services in 1943. He helped establish and operate AFRS-2 [later known as WVTB] at Nadzab in New Guinea. After WWII, John became a reporter for United Press in Columbus OH, and later  became copy editor at The Louisville Times, a position he held until retirement in 1985. 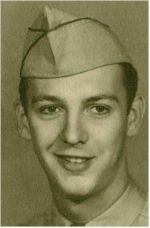 This article was originally written by John shortly after his return from Nadzab, and has been made available, along with other material about his service with AFRS-2 and WVTB through the courtesy of Ruth Dietrich, his wife. We recommend Brass Button Broadcasters for a light hearted and informative look at AFRS history since the first broadcasts in Alaska way back in 1941.